Though we enjoy the challenges and rewards of creating beautiful residential ironwork, we get excited when we're invited to participate in public art projects, like those pictured here. 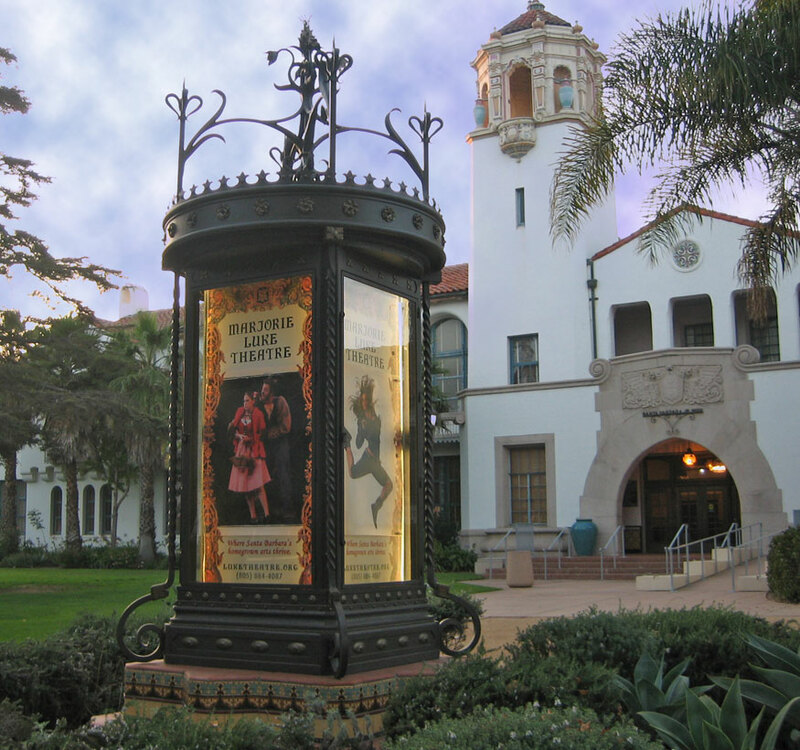 In 2003, we were asked to create a wrought iron kiosk for Santa Barbara Junior High's Marjorie Luke Theatre renovation project. It was important that the design be appropriate to the 1930s era building. The project evolved to include many other wrought iron components including period light fixtures. We've since been asked to help with other important landmark renovation projects around town. Then there are the storefront awnings that became works of art, and the unusual Antioch University Donor Naming Wall project. We look forward to the future specialty art projects. Iron Kiosk Designed and built by Ironwood Designs, the Luke Theatre kiosk won the prestigious Santa Barbara Beautiful Award for “Architectural Feature” in 2004. 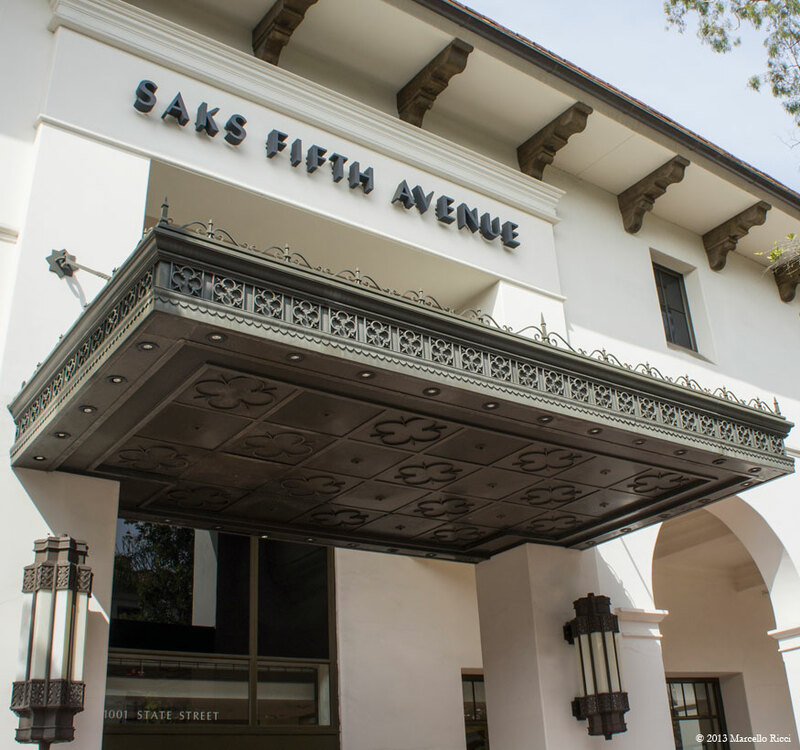 Saks Fifth Avenue Awning Santa Barbara's Saks Fifth Avenue announces its State Street entrance with a custom wrought iron marquee canopy built by Ironwood Designs. Aluminum Sculpture Wall Donor naming wall. 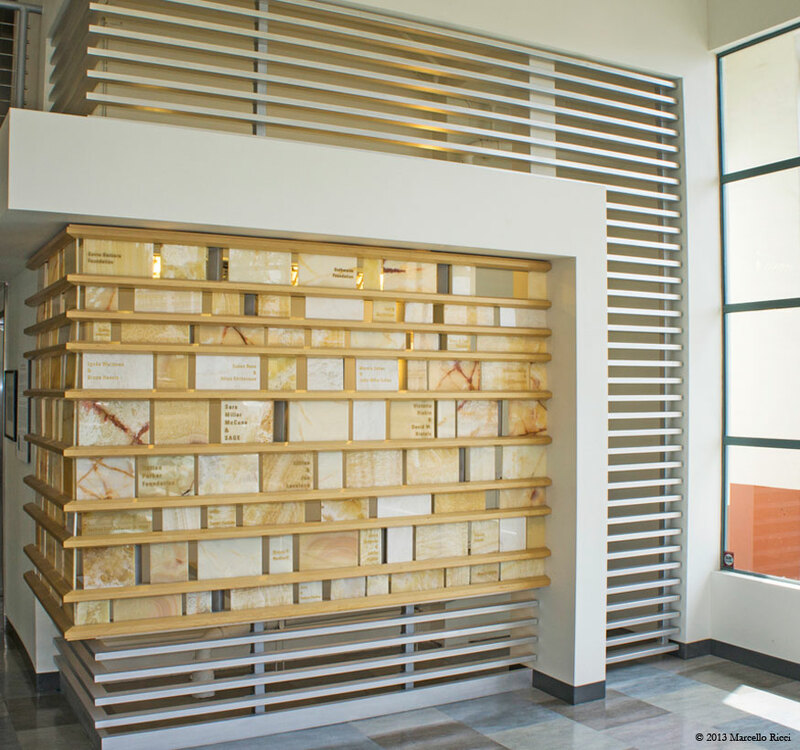 This stunning architectural feature is the star of Antioch University's main lobby. Built of aluminum, by Ironwood Designs. 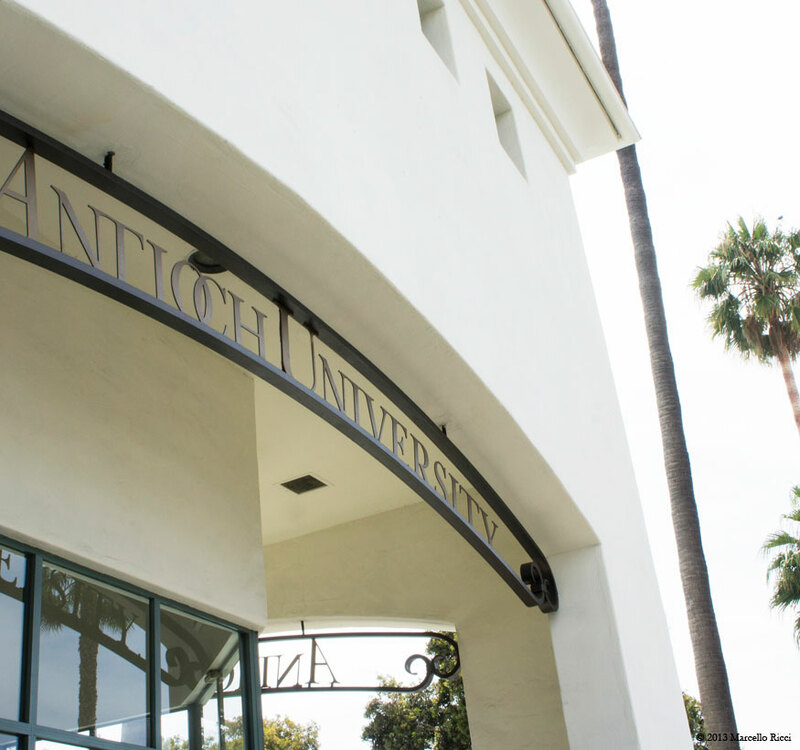 Iron Signage This architectural signage was built and custom fitted to two similar but different arch shapes outside the Antioch University corner building in Santa Barbara. 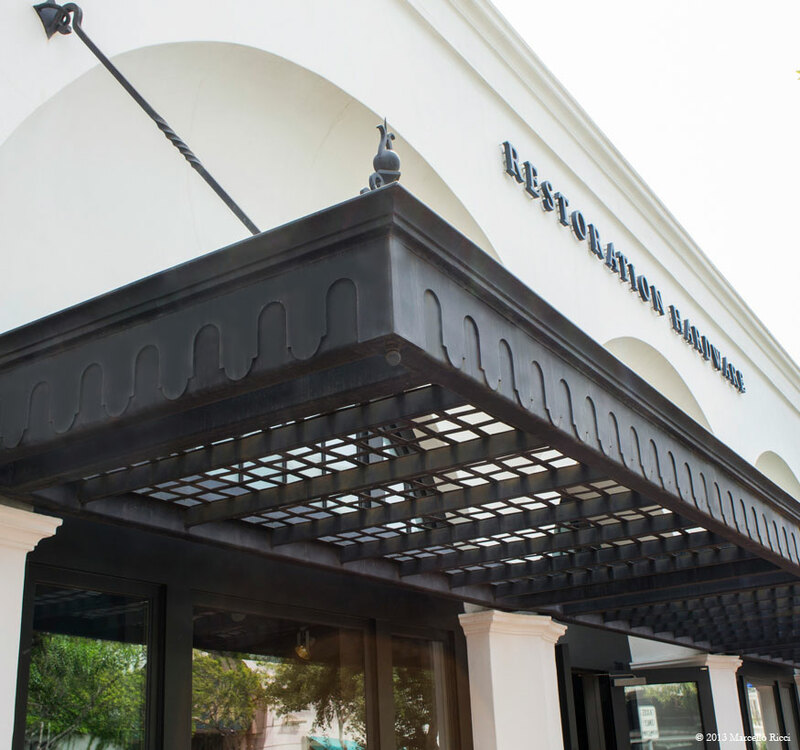 Restoration Hardware Iron Awning This custom iron marquee spans 50 feet and has a woven iron lattice base. It is perched above the entrance to Restoration Hardware's Santa Barbara store.